I have set myself a monthly task, for the whole of this year, which is both pleasurable and painful, a task suggested by the late great Geoff Hamilton, who suggested that gardeners should buy a plant every month which is in flower, to ensure that there is colour in the garden all year round. I thought it was such a cracking idea, when I read about it, that I knew it was something I wanted to do throughout this year. 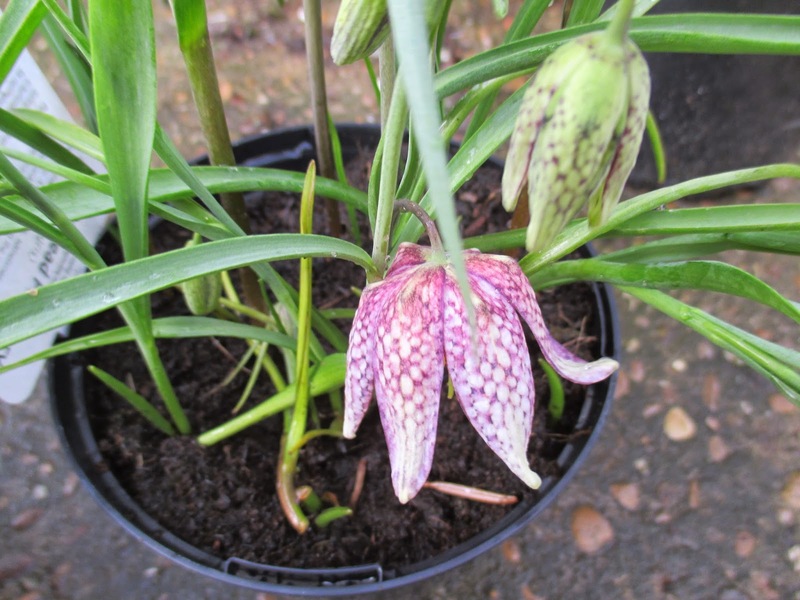 In the end, I could not walk past the 'Snake's Head Fritillary' (Fritillary Meleagris), and it ended up coming home with me. I am cheating slightly, as I vowed that every month I would buy a plant which I had never grown before, and whilst I have had a very brief flirtation with 'Snake's Head Fritillary', they died off after one season, never to be seen again. So we are not exactly well acquainted. It is a Native wildflower, and prefers to grow in light shade, under shrubs or in light woodland. It grows to about 30 cm and is totally hardy. Preferred soil is light and well drained. It goes without saying that its beauty lies in the spectacular chequered flowers which come in shades of mauve and purple, and also in pure white. The flowers are large and delicate, in comparison with the rest of the plant.The buds have a very subtle check and are just as attractive as the open flowers. When I got home I put them into a terracotta clay pot, near the back door, so that we will see them every time we go out. I could have planted them in a border, down the garden, but felt that we would enjoy them so much more if they were close by the house. I will plant them out when they have finished flowering . Although the task is to buy one new plant per month, it doesn't say anywhere in the rules, that you can't buy more than one ! So, these chaps also came home with me - not in flower, but equally gorgeous ! 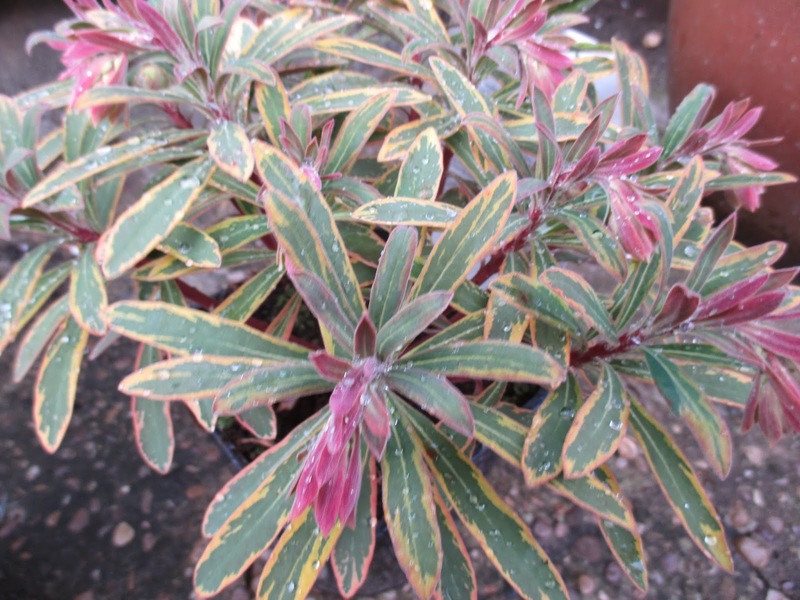 This is Euphorbia 'Ascott Rainbow', a delicate variegated form with pink new growth, and yellow edging to each leaf. It is a nice compact plant - about 50cm x 50 cm, and is winter hardy in the UK. Even the heads of the dark - eyed green flowers are tinged with yellow, when they open in late winter/ early spring. It prefers shade or semi-shade, and does not like soil which is wet. It is equally happy in a container or in a mixed border, and would make an excellent container plant as it has all year round interest. 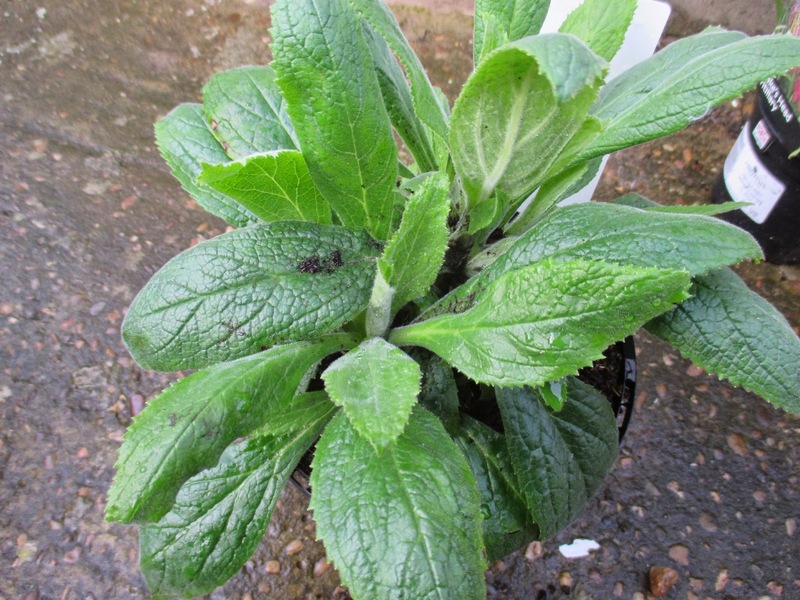 My last choice was another member of the Digitalis 'Illumination' family. I was very underwhelmed with them at first, as my first season with Digitalis 'Illumination Pink' began in a very disappointing way, with slow growth and few flowers. In fact I blogged about it, and here is a link to my old blog, if you would like to read a little more about it - 'Dare I say disappointing ...' However, as the plant grew and matured it began to perform in a much more robust way, and I ended up just loving it. During its second season it performed exceptionally well as it has a long flowering period because it does not set seed. 'Illumination Raspberry' has rich red flowers with a paler throat. It grows to about 45cm x 75cm. It prefers a week drained soil and will grow in full sun or partial shade. I can't wait to see what those flowers are like in reality . 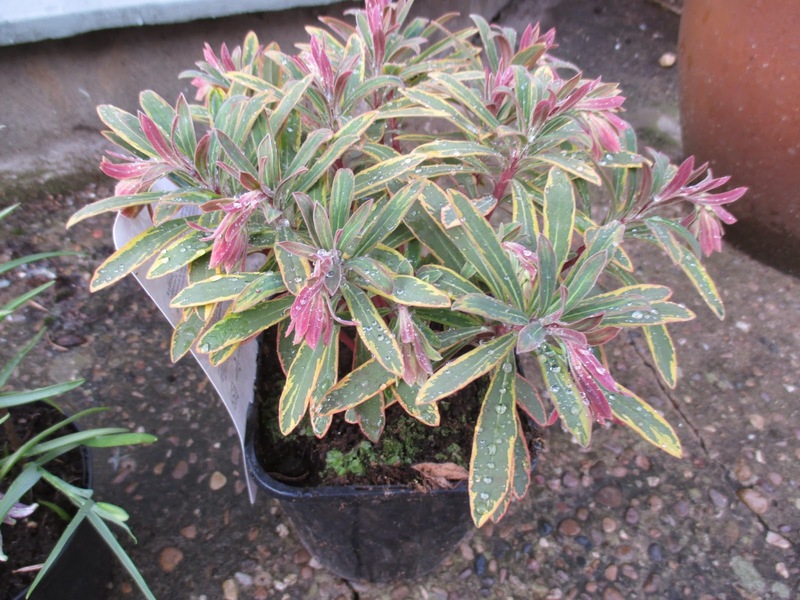 Euphorbia 'Ascott Rainbow' is indeed a lovely plant. I always thought it was not hardy for us but I see that it might be. I will have to look for it. 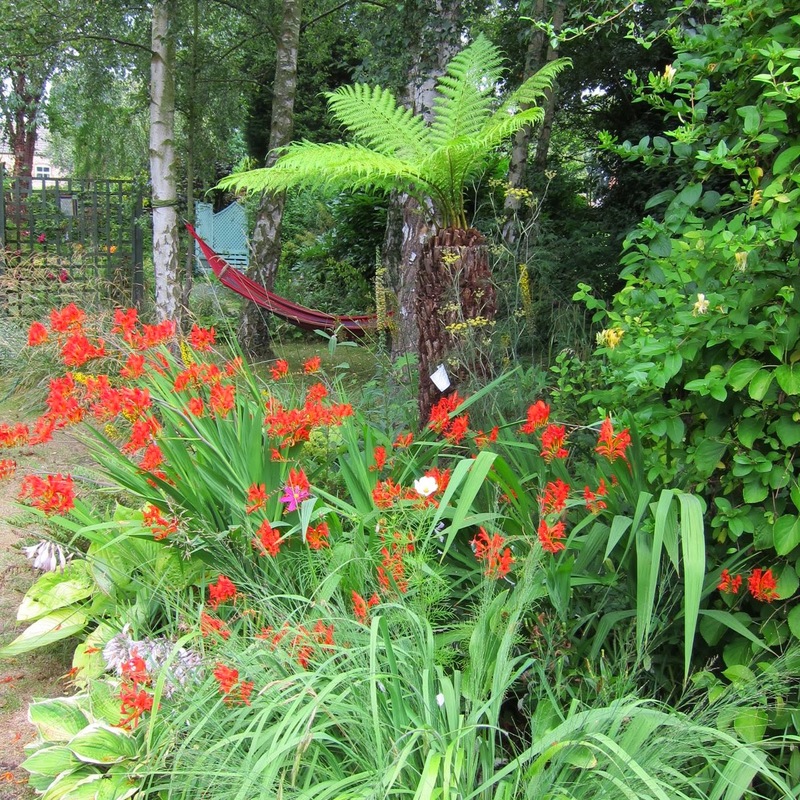 Dear Jane, I loved reading about your plant choices and think you did exceptionally well! The 'Snake's Head Fritillary' is such a wonderful plant that I always admire when I see it on blogs. Hopefully this time it will do well for you! The euphorbia 'Ascott Rainbow' is the most colorful euphorbia that I have ever seen. So beautiful even without blooms! 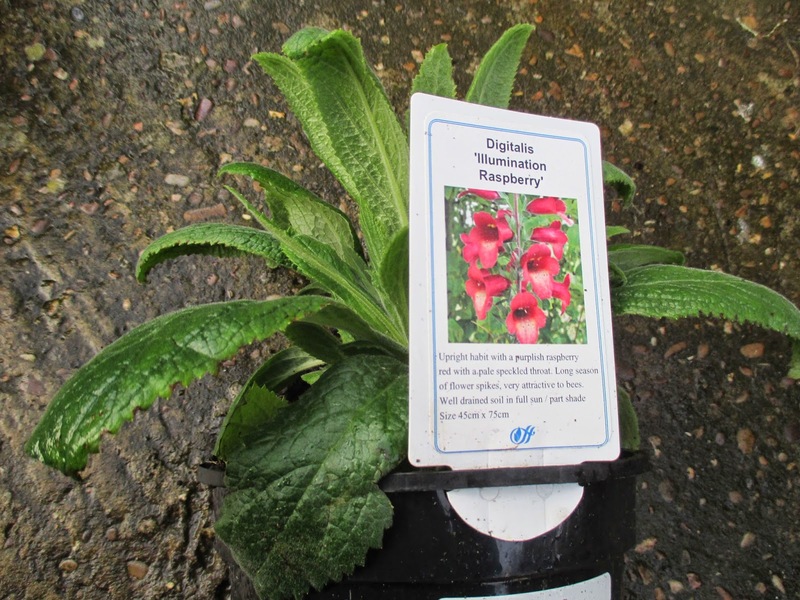 And last but not least the digitalis 'Illumination Raspberry' seems to be very special to me as well. At least I haven't seen a digitalis in this color up to now and that they don't set seeds and bloom therefore longer is very interesting to me as well. I love any kind of digitalis and maybe this year I treat myself to one plant as well. Wishing you a good start into the new week! Hi Christina, and thank you for your comments! I agree with you about the Digitalis as I have not seen this rich raspberry red before so I hope it is as good in reality as it is in the photo on the label! I have a shaded bed right by the back door where I would dearly love something colourful. I thought I had found a winner in the gorgeous Euphorbia until I got to the wet part. It rains for five months solid here. It may not work for the bed but I can put it in a pot under the roof line and still get to enjoy it. Hi Susan, from what I know, Euphorbia Ascott Rainbow is extremely happy in a container, and you are right, that would enable you to manage the conditions so much more easily. Sounds good to me! That is a marvelous idea! I would need to include indoor plants for the winter, because we're below 32F/0C for most of December through February. But I love the idea! That checkered Fritillary is pretty. I can see why you chose it! Why not join in next month ? Houseplants would be really interesting to read about! A monthly visit is something to look forward to despite the potential expense of the habit :) the frittilaria will look even better once they colonise a bigger area, cross fingers it will! Hi mark and Gaz, I hope they do colonise ! Angie says that they like it damp, so maybe that is where I went wrong! I wish you lots and lots of luck with your frittilaria - I put one in my garden, the gods were with me, as now I have lots in all different colour-ways, cream, pale pink, deep pink, but mine have yet to flower this year. Hi Rosemary, I think the one I bought has probably been inside and that is why it is in flower now. You are obviously getting it right with yours as they are expanding! What is your secret ? Angie says that they like to be kept damp, are yours in a damp area of your garden? The only problem is that the plants in garden centres seem to be on flower artificially early. There is no sign of our fritillaries yet. In our garden they flower in April. Still I guess it will all even out in the end. Hi Sue, yes, as I just said to Rosemary in the comment above, I bet mine has been kept inside and that is why it is in flower early. It says on the label that they flower in April. Lovely choices. Grab that shopping opportunity with both hands! 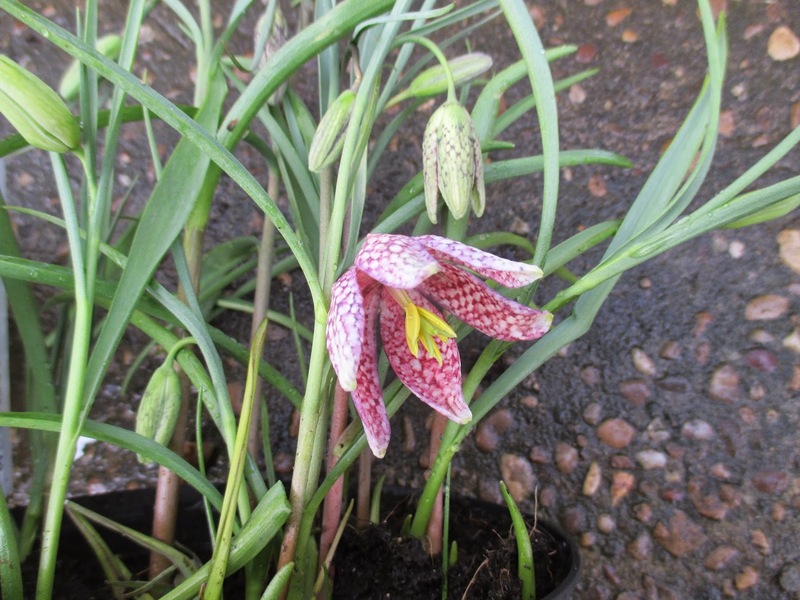 Our fritillaries won't flower yet. I was in the orchard early this morning and I did wonder if I had trodden some emerging bulbs, but I suspect it was just wistful thinking. Every time I tiptoe across a flower bed I tread on some emerging bulbs, and not in a good dainty way, in a very squashy way! Good luck to your emerging colony, I imagine they will look fab, so am hoping for photos once they are all in flower . Lovely fritillaries. The only trouble is the pheasants who love to bite their heads off. If you save the seed they come up like mustard and cress. I love that Euphorbia, I think I am going to look for it for my new winter garden. The Digitalis sounds wonderful too. Did you get my email Jane? Please let me have your address, I want to send you the winter aconites before they disappear. Hi Chloris, I have emailed you my address now, thanks, and am looking forward to the Aconites ! Will reciprocate in kind ! I will have to save the seed from the Fritillaries and sow it, I didn't envisage it would spring up very quickly. Hi Anna, those garden centres can be wily foxes ! They know that people like me just can't resist a plant in flower, it's like putting a child in a sweet shop! I wonder how detrimental it is to bring on hardy plants in this way? It must be a shock to them when they are planted out in soil which could be icy. I had the exact same Euphorbia in my hands yesterday Jane and popped it back on the shelf as I changed my mind about it. It's is rather lovely and maybe now I feel a little regret! I wonder if the issue you have with the Fritilaria is that they are not kept damp enough. They prefer a site that is quite damp, I'm sure. Super choices this month Jane. My new snowdrops were the focus of the plants I bought in bloom this month. Hi Angie, thanks for that advice, they are in quite a dry place as I didn't know they liked damp feet. I will plant these new ones in a damp spot ! I am just about to hop over to yours and have a good look at your new babies. What fun to choose new plants every month....You made beautiful choices. The Fritillary is so unusual. I have Euphorbia and it blooms a really long time which makes any gardener happy. The leaves aren't variegated but they are a lovely color green. We're still looking at a lot snow but I'm starting to come out of my winter slumber and get excited about what's to come. Happy Gardening and plant shopping! Do join in if you feel the urge, and share your purchases with us all! I hope your snow goes very soon and you get lots of lovely spring sunshine ! Go on Beth, do it ... join me and then put a link to your blog in comments! It would be fun to see your choices! It wouldn't take much for me to sign up to a monthly visit to any nursery, but coming home with one thing would be next to impossible. Like you I would come home with a whole load of treasures. 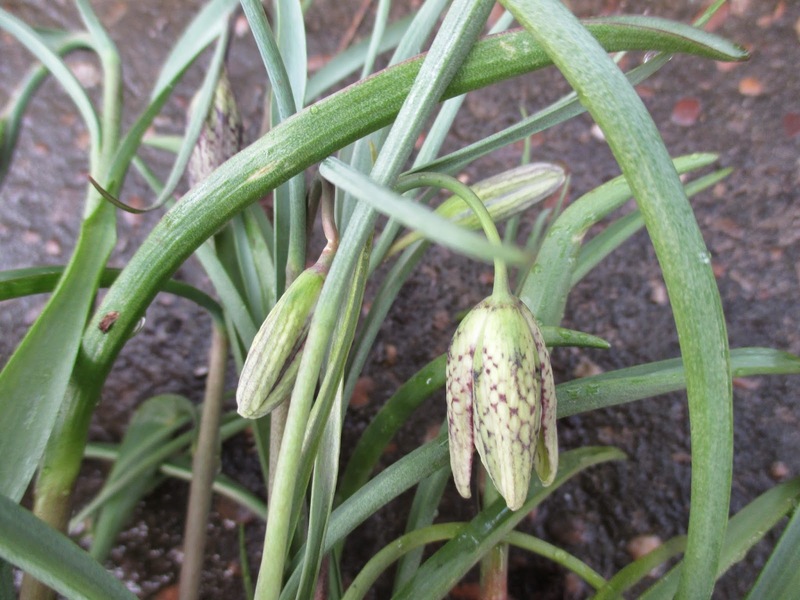 I tried some Snake's Head Fritillary in the early days of my garden, but I put them in a dry, sunny spot. Of course they perished!I love the Euphorbia 'Ascott Rainbow' and the picture of the Digitalis Illumination 'Raspberry' looks promising. Hi Jennifer, the problem is restricting purchases ! It sort of validates them all too, so you feel no guilt ! I am doing it for the good of my garden ! Hi Tammy, Ascott Rainbow love being in containers, so I am told. I am tempted to put mine in one as it has such good, all year round interest. First I have beautiful flowers in the garden and very nice to me and winter bloom being held without a problem. *** Florence is beautiful and there is a lot to admire. Regards. Hi Giga, I am glad you have some flowers to enjoy in your garden! I love snakes head fritillary, I have a few in my garden but they've never bulked up at all. I'm giving updates each month about the plants I chose back in 2013, some fared better than others so I think you're very wise to choose more than one plant each month. I love fritillaries and a grassy area awash with our native one is quite a sight. Just one word of warning, they are members of the lily family and appearing early as they do are usually the first place lily beetle can be found in the garden. Hi Rick, warning is heeded ! My last lot of flowers were gobbled up seemingly overnight by the dreaded Lily Beetle - they made the first meal of the season I reckon! I loved all of your choices here, especially the Snake's Head Fritillary, mine have not come up yet which is a little worrying, I'm hoping I haven't lost mine too. I totally agree re choosing just one plant in a nursery....I don't think I have ever done that, but then I have no will power at all around plants. I remember this getting mentioned and thinking it was a great idea but now I see the flaw in the plan. Who in their right mind could go into a nursery and just buy one plant! 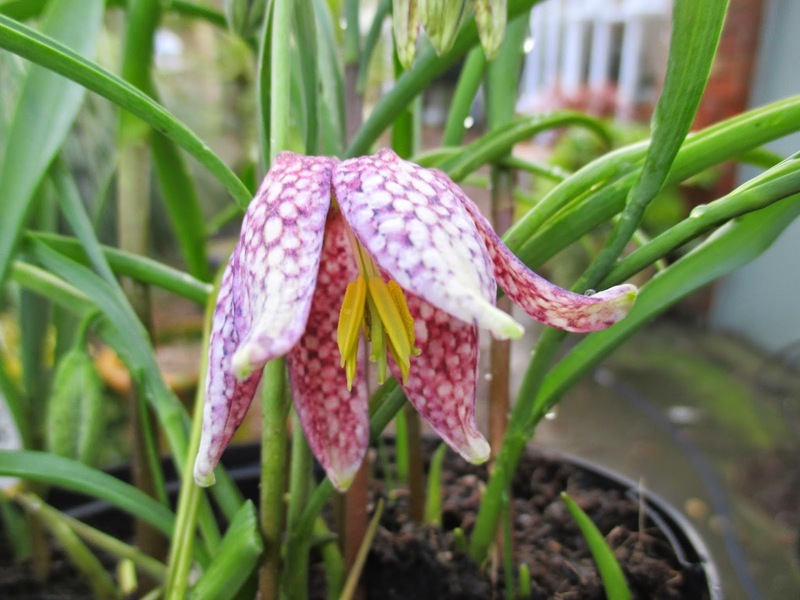 love the fritillary, fantastic pick. and the euphorbia is a great choice any time of year. The leaves alone are worth the purchase. Hi Marguerite, yes, the plan is fatally flawed, but if it means guilt-free plant buying then I'm all for it ! I do love 'Ascott Rainbow' and am pondering on container or border ! I should get out more ! If fritillaries were indigenous to my garden, I'd have swathes and swathes of them! Love those unique flowers. Hi Diana and congratulations on your move ! The flowers are so strikingly patterned, once seen, never forgotten!